The Portuguese bank says it has a 2.1 bln euro capital cushion to protect it from its troubled parent. The central bank agrees. But details are still murky, and a cloud hangs over its Angolan unit. Until the Espirito Santo network restructures, investors have reason to fret. 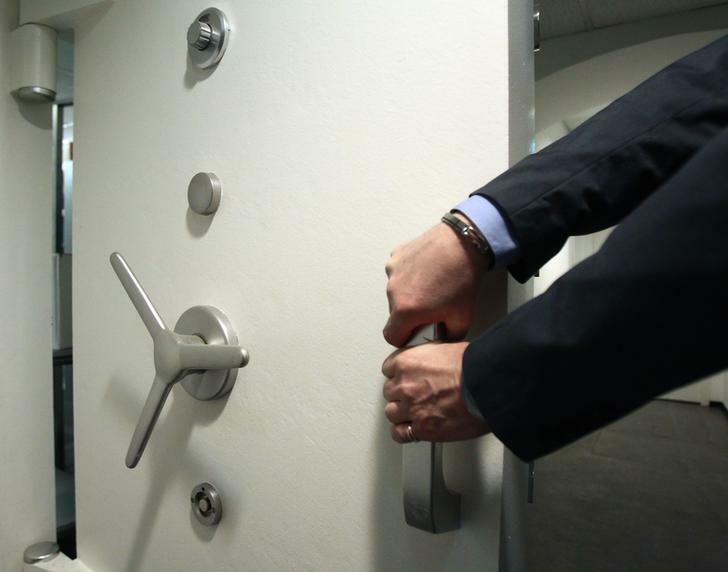 An employee closes a safe door inside a bank. Portugal’s Banco Espirito Santo said on July 10 that it had a capital cushion of 2.1 billion euros ($2.9 billion) to cope with any losses from its troubled parent group, whose discovery of accounting irregularities earlier this year sparked a selloff in the bank’s shares. BES also disclosed that it had a total of 1.18 billion euros of exposure to Espirito Santo group entities as of June 30. The bank also said it had an additional exposure of 305 million euros to Tranquilidade, a group of insurers not affiliated with the Espirito Santo group of companies. It added that BES depositors can be “calm” and that their funds were safe. Prime Minister Pedro Passos Coelho said on July 11 that BES was separate from the businesses of the Espirito Santo family, Reuters reported.